The Scout is tipping five players to produce big points in Gameweek 12 of Fantasy Premier League. The attacking midfielder travels to Huddersfield Town on the back of his season-best display against Burnley. Anderson's two goals in a 4-2 win over the Clarets brought in maximum bonus and 13 points in Gameweek 11. Indeed, his five shots and four shots inside the opposition penalty area were both joint-top among FPL midfielders last weekend. 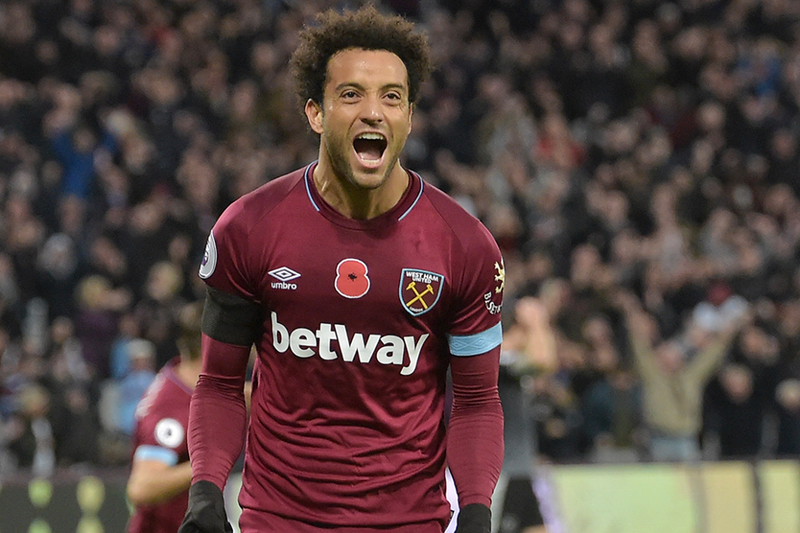 The Brazilian has become far more influential for the Hammers in recent matches. Anderson's three goals have come in his last five matches, having also scored against Manchester United in Gameweek 7. And when assessed against his early-season showings, his goal threat has clearly improved. Anderson has recorded a shot on goal every 45.2 minutes in the last five Gameweeks, compared with 99.2 minutes beforehand. His creativity has also been highly impressive since arriving from Lazio last summer. Anderson's total of 23 key passes is ranked ninth among all players in FPL, just one fewer than the 24 of Mohamed Salah (£13.0m). This indicates that he has been very unlucky only to earn a single assist over his 11 Gameweek starts. Huddersfield's defensive record boosts his prospects at the John Smith's Stadium. Only three teams have conceded more goals than the Terriers' 21. They have also returned only two clean sheets this season. Anderson's fine all-round attacking form points to another big haul as he looks to build on last weekend's display.